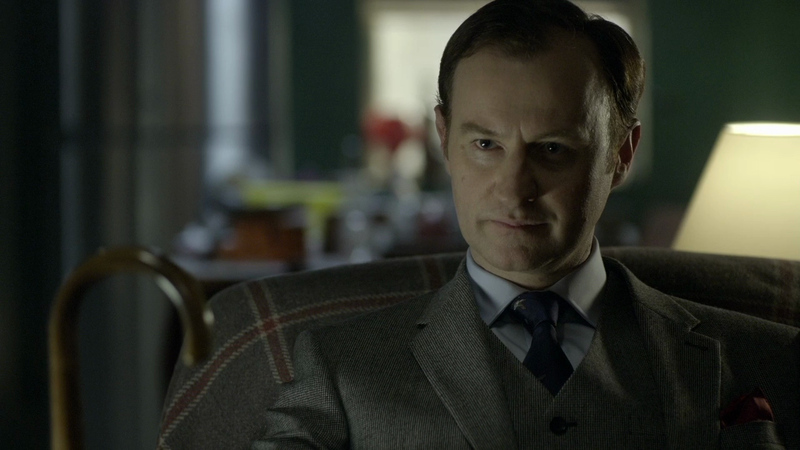 Mycroft, Sherlock’s older, smarter brother, is a fascinating character because he is so mysterious. The tension between him and Sherlock creates many a great moment, both of drama and of comic relief. Once in a while, the Holmes brothers are civil to each other, but those rare moments are usually clouded by bickering, their primary way of interacting with one another. Mark Gatiss’ drily witty interpretation of Mycroft is one of the reasons Sherlock fans love the show. 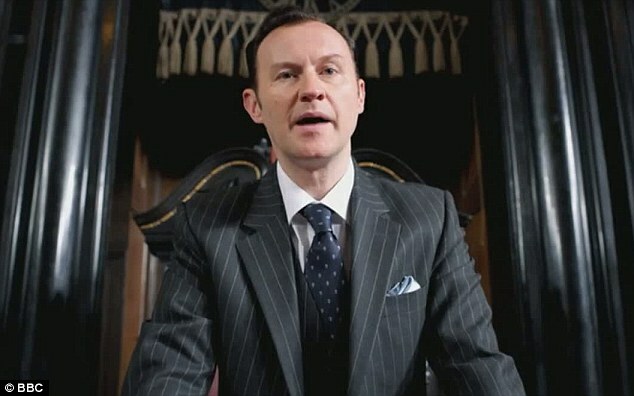 Gatiss can deliver a line as simple as “I also don’t frequent cafés” and make it humorous, using his always-present umbrella to emphasize his point. What does Mycroft do when he is not occupying his minor position in the British government, running on his treadmill or attempting to bribe people to spy on his brother? We may never know, but in the meantime, let’s have a look back at our favourite Mycroft moments! It is safe to say that neither Holmes brother is easy to live with, with both being near-insufferable know-it-alls. Yet one of them, Sherlock, has managed to find someone who puts up with him. 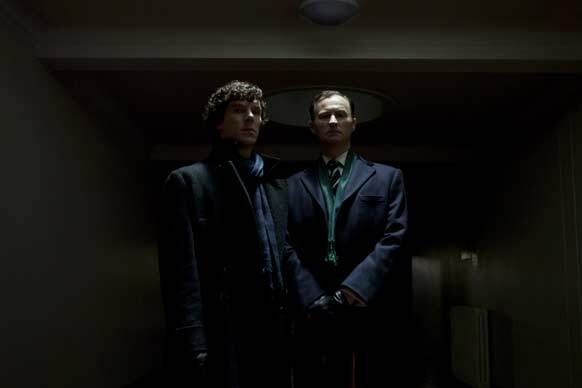 Mycroft often sneers at the pair so does that – as shown in this scene from Series 1 – reveal that deep down, Mycroft envies the friendship that his brother has so easily formed with John? If so, it would explain much of Mycroft’s behaviour. Mycroft is generally presented as Sherlock’s smarter brother – which is a big claim when Sherlock himself is basically a brain (with some additional cheekbones) on legs. Yet right from the beginning, we were shown that Mycroft at least equalled his brother’s deductive ability. In A Study in Pink, both Holmes boys independently (and correctly) deduce that John’s emotional state is not due to PTSD, it is because he is an adrenaline junkie and misses the thrill of battle. “And there is a whole childhood in a nutshell.” When Sherlock reacts to being brought forcibly to Buckingham Palace by showing up wearing only a bedsheet, it’s hilarious to see Mycroft’s embarrassment for his little brother with Sherlock on his best scathing form too. The interplay between Mycroft and Sherlock in this scene humorously illustrates their eternal sibling rivalry. Mycroft and Sherlock share a rare brotherly moment whilst smoking in the morgue of St. Bart’s on Christmas Day, shortly after identifying Irene Adler’s body (they think). This brief conversation reveals why the Holmes brothers keep their friends at arm’s length, and also the different way of looking at the world the two share. Despite what they might say, we know that despite their frequent arguing and gamesmanship, they do care for the other—they just have an unusual way of showing it. 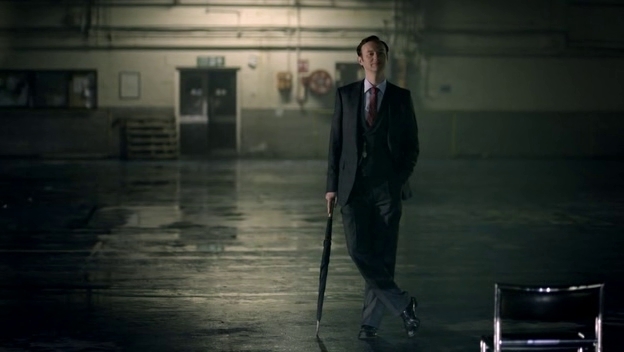 What are your favourite Mycroft moments? Let us know in the comments below!